The gay exec reportedly had "multiple meetings" with the CNN anchor. 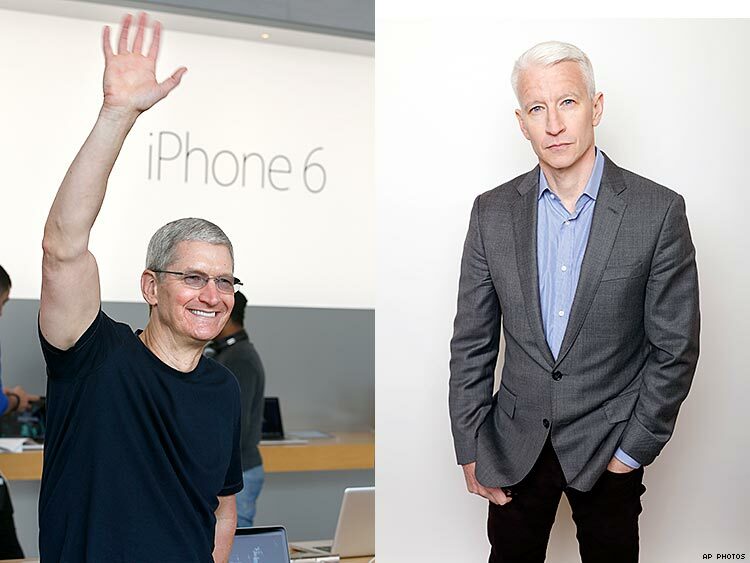 Gay Apple CEO Tim Cook says he had an important influence in coming out: Anderson Cooper. Cook sat down for a lengthy interview with The Washington Post, published Saturday, in which he discussed his “multiple meetings” with the CNN anchor prior to going public about his sexuality. The newsman came out during an email exchange with a longtime friend, the libertarian blogger Andrew Sullivan, in 2012. In the conversation, Cooper discussed his own need for privacy, especially as a journalist. By staying quiet about his sexuality, his goal was to avoid becoming part of the story — instead keeping the focus on his subjects. Cooper also explained that in becoming visible, he hoped to make a difference for LGBT youth, who may not be accepted because of their identity. These ideas were a clear influence on Cook. In a 2014 editorial for Bloomberg BusinessWeek, the CEO said his reticence to speak about his personal life was based in a desire to put work first. Cook said, though, that he realized coming out could make a huge difference in the lives of people around the world. The CEO reiterated these points to the Post, saying he received hundreds of messages from kids who had been forced out of their homes for being LGBT.